Information The Chester Playhouse is owned and operated by the Chester Theatre Council Society (CTC). A registered Society since 1984, the CTC is a charitable organization with a volunteer Board of Directors chosen from the members. The mission of the Society is: To foster, promote, encourage and develop the performing arts and to maintain a community arts facility in the municipality of the district of Chester. 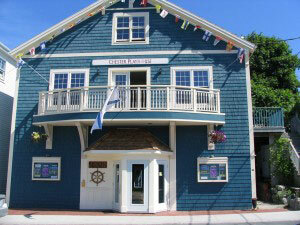 In 2004, the CTC envisioned the future and stated: The Chester Playhouse will endeavor to produce, present and reward the artistic diversity and vitality of the cultural community of Canada and our own community of Chester, in order to be recognized as a primary South Shore destination for entertainment and development of the arts in Nova Scotia. The village of Chester is a seaside resort with a small year round population that more than doubles in July and August. We are a 176 soft seat theatre and regularly present about 80 performances / year. Our programming includes professional theatre productions, touring musicians and a very strong community connection including our Youth activities program, emerging musicians, and local drama productions.